Know why winter and fur outerwear are commonplace? It is winter and snowing outside. You are feeling romantic inside. But it makes you feel really disgusting if you need to stay home all the time. You have office works, shopping, meeting your friends and so many other jobs outside. Just because of the cold and snow you cannot stay at home for the entire winter. But according to a lot of people, they fall sick in the winter time. If you can relate that problem then it is the time to avail some cold protection outerwear for you. There is no reason to stay at home and feel bored just because of the colder outside. When it comes to perfect winter outerwear to beat the minus temperature, nothing can beat the effectiveness of real fur. There are too many dilemmas, you may have heard about real fur. But it can be said that real fur is much better than synthetic alternatives. Real fur does not contribute to global warming and environmental pollution at all. Real fur has been helping humans since the Stone Age and still, it is in use. It is great to combat the too cold weather. In the countries where winter is too cold there, real fur coats and jackets are in high demand. If you are a fashion conscious person then you must follow the fashion blogs and magazines and there you will notice winter cover pages are just incomplete without the fur outerwear. In the Victorian era, real fur was accepted as the sign of class and elegance and only the high-class people used to wear these fur coats and accessories. The female fashion world is tending towards the real fur outerwear and accessories in comparison with the men. In the starting of 20s, the market was getting filled with synthetic alternatives. Due to the low price and easy availability, a lot of men and women started to wear those alternatives. But just after one to two years they found that their outerwears are of no use. Torn, faded color and damaged shape are the main drawbacks there. And as a result, they need to invest in winter outerwear again. And even the synthetic alternative cannot match the incredible warmth level of the real fur. Along with these problems, alternatives come with skin rashes, bumps, allergies and itching, if you were them for a too long period. You can wear real fur just on your real skin but when it is synthetic then you have to wear a full sleeve t-shirt or anything else because direct contact of the synthetic alternative can make your skin sensitive along with rash and itching problems. Still there any reason to go for alternatives? Now you can say that it is cheaper. Yes, it is cheaper apparently, if you take a deeper look then it will not be cheaper anymore. It is true that real fur coats and jackets come with a high price tag. But they can accompany you for decades. What my grandmother had worn that I can wear easily today without losing the style value. Real fur is a timeless outerwear option, what has rules 1900s that can easily rule the 2000s! But with the faux fur or other synthetic alternatives, the time span is hardly one to two years. And again you have to spend bucks to avail another one! Does it still seem cost-effective to you? Just buy real fur outerwear this year and enjoy it for the next 11 years unless you want a new model! Warmth- fur is accepted as nature’s wonderful response to winter. And nothing can beat its warmth capacity. It allows the human body to breathe. Because of its isothermal nature, it keeps the wearer comfortable and cozy regardless of the temperature changes during winter. Comfort- There is no better match than fur as it feels soft, sensual and enveloping. And with the help of modern technology fur outerwear has become versatile and lightweight. In fact, you can wear them around the year rather than just in the cold season. Timelessness- Fur will never be out of the style and trend! In the Stone Age, people wore fur to get the required warmth today people wear it for warmth as well as high style value. Even hundreds of international top designers showcase fur outerwear in their collection in increasingly creative ways. 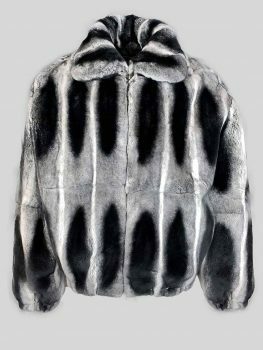 Durability- You know that real fur is popular for its luxurious look and feel. It is a natural fiber and durable. It is resilient and lasting; you can recycle, update and re-style time and time again. If you properly take care of your fur outerwear, your investment will bring many years of pleasure for sure. Versatility- maybe previously fur outerwear was only a formal game! But now you can wear fur everywhere. With jeans or ball gowns, warm on a winter evening, enchanting on a summer dress because there is only one rule and that is craft your own style statement. Eco-logical- It is a great example of sustainable use of renewable source without destroying the environment. It is bio-degradable! But very few people let it gets degrade as you can easily re-style it. These are the main benefits that let people shop real fur in all the season. But here a problem most of the first time fur outerwear buyer face and that is they cannot differentiate real fur with the synthetic alternative. The market is filled with synthetic alternatives and that’s why it becomes tough to find the right retailer who offers genuine fur coats for women and men. You can easily know the tricks to recognize real fur from our blog section. Or just open this link: “Things you need to know before buying fur outerwear”. Or you can directly come to us. We deal with real fur and leather products. Now we are online too! We have 24 hours delivery option too along with easy return policy. From the site, you can easily explore all the collections and easily buy. Or you can meet us physically and enjoy the free trails. Our shopping regime is complication free. All you need to do is just select the item you want to purchase, select size and color and then add to the bag. After that, you need to complete the payment. You can apply the coupon code for the discount (if available). If you visit us physically then just come, enjoy the trails, and pick the best one. you can carry cash or card, whatever you want! So, don’t wait, come, shop, and rule the trend!